There are moments in your life when you experience the satisfaction for all your work and effort. A moment when people, who’s health is your priority, find a great way to express their loyalty and gratitude. 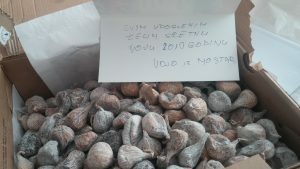 The user of our products, sent us a hint of Herzegovina and part of himself in these wonderful figs. It’s nice to know that we are doing the right thing. We can’t be more delighted.